SOLVED: Shell In A Box not working correctly. I've got my router forwarding port 4200 (and 22) and I also cannot use a standard SSH client (Remmina) to connect. Re: Shell In A Box not working correctly. Not sure what the issue might be. I have tested this app and works fine. It could be an issue with exposing it outside the network. We do not test or provide support for that portion. There are may possibilities that could cause the issue. Might check the configuration file for it. There may be something in there only allowing local access. 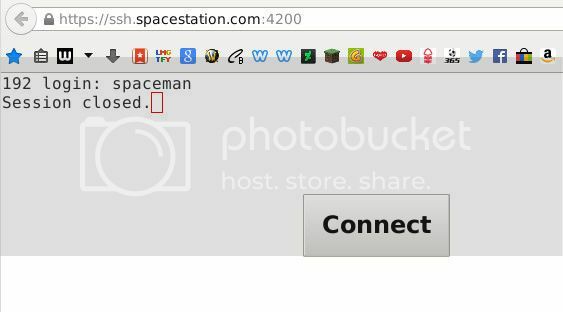 Not having any SSH troubleshooting experience I didn't know where to start. I installed Webmin to give myself a head start and clicking on Servers | SSH Server I saw a rather self explanatory button: Start Server. Not sure how or why SSH was turned off, perhaps it's one of systemd's [ahem] innovations...I'm sure there's a very simple command line, like sudo systemctl start ssh.service...but actually I remember this not working...goddamn Google says it's sshd. I actually built a new server (a second test server which I have been meaning to do as a sandbox ofr ages) and replicated this problem out-of-the-box, at least I know it's easy to fix and if all else fails Webmin can do it for me. Maybe someone else will find this thread of three posts useful. Odd SSH was not running. Glad you sorted it out.